Mums and dads might have caught the Candy Crush bug but steer the kids in the direction of something a little less addictive (but still seriously fun). Have a poke at Pokoto the Challenge, a fun and simple game based on memory flash cards. Focus your eyes on the game board and wait for the patterns to pop up. Be observant! The patterns are quick and can get tricky! For each game played, you have three lives – discover the hearts and you get bonuses but if you accidentally pick a bomb, you lose time. 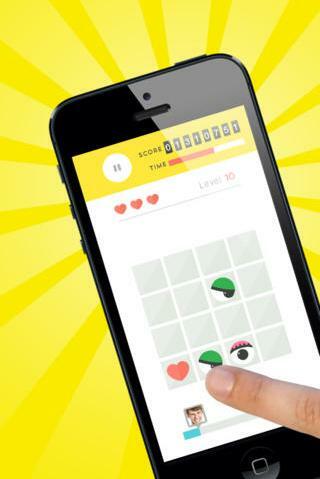 The number of levels is infinite, so you really can train your brain for a good stretch of time. I like the uncluttered, clean design and with all of those different eyes popping up, you really can’t tear your eyes away. Pokoto the Challenge is the work of Lisbon Labs, the design team behind Bebops (a music-making app that remains a favourite in our house). 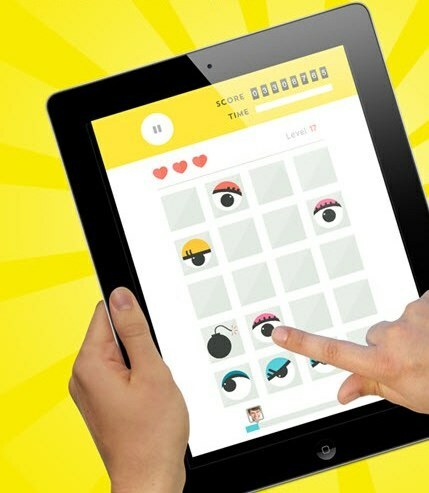 Pokoto the Challenge is a free app, suitable for iPad or iPhone. There are no in-app purchases and there’s no advertising. It’s suitable for children aged four years and over. Find it on iTunes.